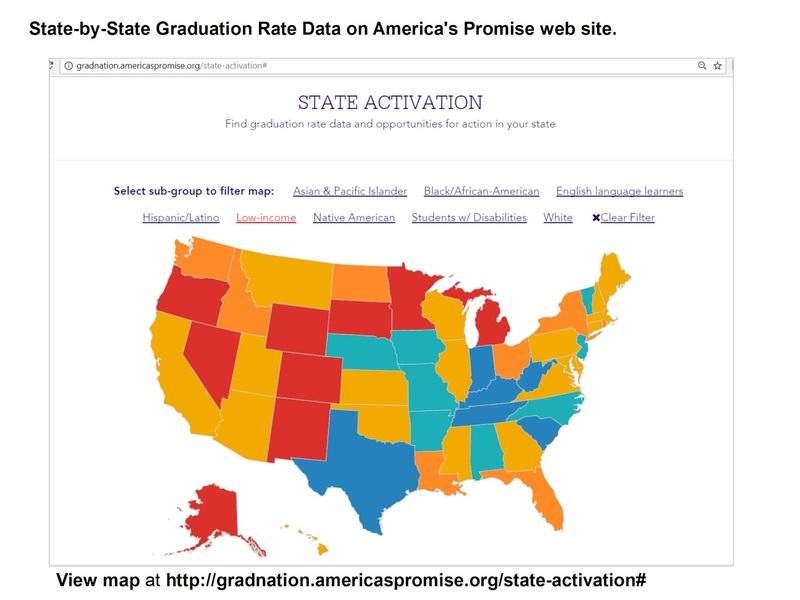 The America's Promise Alliance hosts a map on its web site showing graduation rate data for every US state. Take a look. Earlier today I posted an ESRI storymap showing places around the world where each of the 17 United Nations Sustainable Development Goals needs to be addressed. With that map, and this map, I said "Great work. Useful data." Then said "We need to look at this information at the block level, or at the zip code level" (not sure how this works in other countries). The state and national level are too large. Within such boundaries are many places where there is much greater need than what the average shows, and other places doing far better. Here's another map. 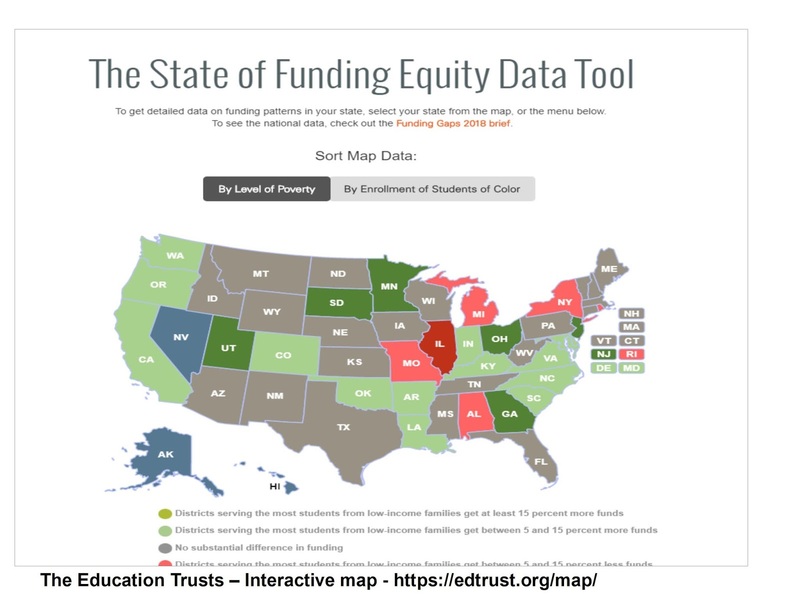 This is shows inequality and funding gaps (2018) in school funding from state to state. States shaded green provide greater funding to schools serving high numbers of low income kids. States shaded pink and red (Illinois) provide less funding to these students than to other schools in the state. View article here and data tool here. If you compare the different maps shown on this map you begin to see that areas with high poverty show up as places needing extra help. 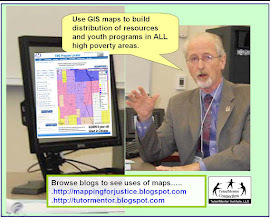 Building the public will to provide that help is something the Tutor/Mentor Connection (T/MC) and Tutor/Mentor Institute, LLC (T/MI) have focused on since 1993.